When steampunk hit its recent resurgence, I thought back to my love of The Wild, Wild West reruns with just a bit of nostalgia. Though the whole idea of mad scientists and brass implements, gears, cranks, and alchemical pseudoscience is so much fun, I didn’t feel particularly drawn. After all, steampunk is based on Victorian times, the period of 1837-1901. In the West, the Gold Rush was just starting, the Chinese were immigrating, the Civil War was just ending, and the British Empire was forcing imperialism on any country who couldn’t escape. Considering that history, I wasn’t sure steampunk was entirely accessible to everyone… and by that, I mean, I thought there wasn’t anything for people of color to get into. After all, historically during that time, people of color were either slaves or indentured, with their countries being invaded or occupied. They didn’t seem to me to be the inventors or the major players in the world. Despite how history is recorded, we now know that’s completely ridiculous. While the U.S. was second only to Britain in the realm of the Industrial Revolution, there were countries and people who were technologically advancing before the Western world had thought much further than the wheel. The Mayans, Aztecs, China, Africa and the Middle East were busily trading and innovating long before anyone officially “noticed.” There were African English people in Victorian England, South Asians, and even in the U.S., where the minority population was repressed during the Victorian Age, there was the steam-inventor’s spirit. Picture this — it’s the 1870’s. An African American pharmacist in knee-breeches and a frock coat has just made a startling invention — a refrigeration device. Okay, it’s an improved model designed for corpses, which makes me wonder what other mad scientist stuff was going on in the background, but Thomas Elkins was a REAL GUY. And totally, thoroughly steampunk. Granville Woods was an African American inventor who was SUED by Thomas Edison, who tried to claim one of his inventions. Woods eventually won, and Edison continued to stalk woo him, trying to buy his inventions or hire him. Woods declined, and kept his twenty-seven patents to himself, including the one for electric trains. A mad scientist being stalked by an evil genius. In a frock coat. With a really nifty ‘stache and those little wire glasses… = totally, thoroughly steampunk (and kind of sounds like a Wild, Wild West episode). And okay, you know all about Elijah McCoy, as in “the real McCoy,” the Canadian son of escaped American slaves who patented fifty-seven steam-punky inventions, and Lewis Latimer, who, together with Alexander Graham Bell, invented the telephone. That’s all just reality, of course; this blog deals in fiction. But, that’s where I ran into a problem. Sure, TV has a few representative folks on-screen, and the movies are making sure no one can complain too much, but there are a few minority characters with the alternative history/steampunk bent in fiction of interest to teens. Captain Nemo comes to mind immediately, from Twenty Thousand Leagues Under the Sea–a prince, and son of a rajah (he was originally written as Polish. It was only fear of offending political allies that made Nemo more “acceptably” an Indian prince). After some thought, I realized that the Gyptians in the His Dark Materials series are meant to be Roma, (not Egyptians, as they might sound) and the Roma are a people with roots in South Asia — so, that was good to see, as the Gyptians are part of the good guys. The Miyazaki anime comic book Castle in the Sky (which is, okay, okay, based on the movie — if we’re going with movies, we can also count Steamboy) we can consider as steampunk fiction with an all-Japanese flavor, which makes the floating castle and the sky pirates make perfect sense. Keeping in mind that I haven’t read everything,* that’s about all I can think of for a) steampunk written fiction, that’s b) specifically marketed to young adults and teens, and c) incorporates multicultural characters. There must be more, but the fact remains that there’s a dearth — a big dearth — in stories and images of people of color in this Big New Thing. And it’s not a huge issue, on one hand, since steampunk and alternate history is fairly accessible — but if we’re twisting history around, can’t we include everyone in our brave new world, without having them have to put on the trappings of a Victorian world which doesn’t maybe fit them? YES. As Lisa Matchev commented in her interview at Writing & Ruminating, “If it’s shiny, invite it to the party!” That, to me, is the proper spirit of steampunk and alternate history–you can twist it in any way that suits you. 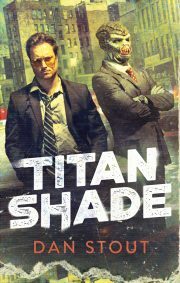 So, I’m throwing down the gauntlet to short story writers, novelists, steampunk enthusiasts, and historians: we need to show the alternate world in as many shades as those within our modern world exist. And to celebrate the varicolored steampunk world, here’s a couple of YA-friendly stories. First, from Tor.com’s recent Steampunk Fortnight, it’s “Clockwork Fairies” by Cat Rambo, and while it does operate solely within the confines of traditional Victoriana, it has a happy little twist at the end. And here’s a hopeful tale from steampunk Malaysia — from Crossed Genres. It’s called “The Last Rickshaw“, by Stephanie Lai. Finally, Jaymee Goh imagines a world that never knew the East India Company, or the British Empire (Oh, what a different world that would be) in “Between Islands” from Expanded Horizons. Enjoy the awesome. More Steampunk/Alt History joy from the round-up links list. * Correct me if I’m wrong, all right? I want to know what more is out there, so leave the books YOU know of in the comments, por favor. 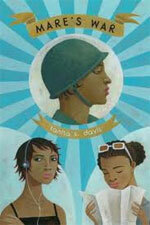 Tanita Davis’ most recent novel, Mare’s War, published by Knopf Books for Young Readers, is the Coretta Scott King Honor Award book for 2010. Kirkus Reviews called Mare’s War “…absolutely essential reading.” Tanita graduated in 2004 with her MFA from Mills College, Oakland, CA, and continues to write across genres in a way which reflects the multicultural world. 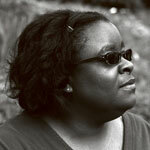 Her most recent essay was Reflected Faces, published in Hunger Mountain, the VCFA Journal of Arts. Tanita is currently writing a fantasy novel, and revising her first attempt at writing science fiction. She wakes up faintly surprised each morning in Glasgow, Scotland. Ma’am, thank you for the mention! It’s really exciting for PoC in the steampunk movement right now. Here is an incomplete list of all PoC steampunk works available online. Nisi Shawl is working on a Belgian Congo steampunk novel. And Beyond Victoriana does fine work exploring what steampunk could be like beyond Victoriana, too, with a specifically POC-centric focus. Steam-Powered: Lesbian Steampunk Stories (coming out Jan 2011 from Torque Press) has some excellent stories featuring and by WOC. Err — you do know that “gypsy” comes from “Egyptian”? It starts out realisticly, and gradually runs completely off the rails. A couple of newly-freed slaves, right after the Civil War, decide to go back to Africa. Since they don’t know anything, and anyone they meet is ready to take advantage of them, the end up sailing out across the Pacific, instead of the Atlantic. The ship is wrecked on the coast of Japan, and they are the only survivors. The minor daimyo in whose territory they are is in a quandry: it’s the eve of the Meiji Restoration and foreigners are a political hot potato, so foreigners of a color no one has ever seen are even moreso. So he puts them in the dungeon while he thinks it all over. So far, pretty historically correct. But by the time the civil war comes, with various armies dashing back and forth, the daimyo’s entire court is hiding it out in the dungeon — jamming dixieland.